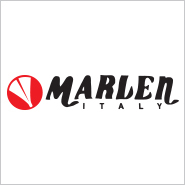 Founded in 1982 by Mario Esposito and Antonio Esposito, MARLEN Pens is an Italian company specializing in the production of pens and fine writing instruments. MARLEN’s luxury artisan writing instruments are “designed to be different” and their unique handmade collections are created by master-craftsmen using original forms of expressive art. MARLEN Pens’ prestigious collections have become collector’s prized possessions all over the world. More than twenty years of innovative designs have reflected the cultural, historical, technological and artistic movements of yesterday and today. MARLEN’s two directors are backed up by a team of dedicated artisan goldsmiths who will continue to bring the world exclusive collections using their unique and special techniques to craft the finest writing instruments. With it’s partnership with Yafa Brands; MARLEN Pens will continue to create high quality products with special features, ensuring their continuation as the distinctive leader in the fine writing business, worldwide.